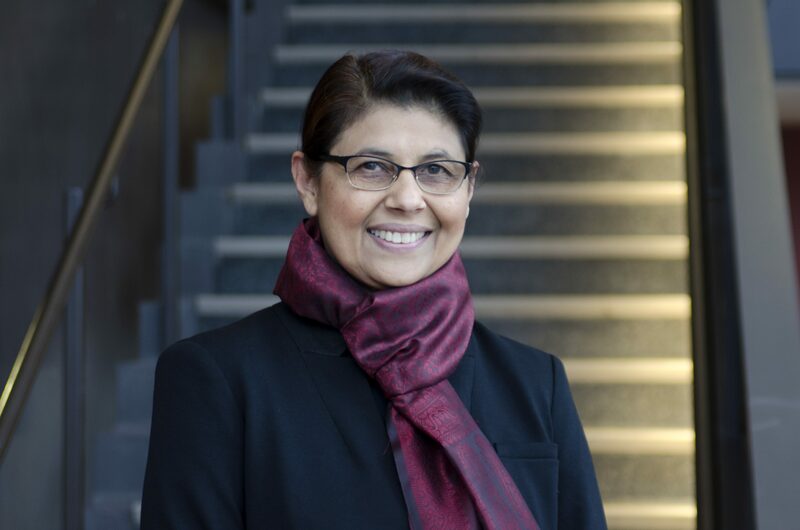 Inderjit N. Kaur joined the University of Michigan School of Music, Theatre & Dance faculty in 2018. She is an ethnomusicologist specializing in South Asian musical cultures. Her research interests include affect, senses, phenomenology, and transnationalism. In addition to her PhD in music, Kaur also holds a PhD in agricultural and resource economics and taught economics for several years before switching her career to music. Kaur’s monograph in progress investigates the phenomenological, music-analytical, and historical aspects of the diverse musical genres and styles of Sikh sonic worship. Kaur has published in journals such as the Yearbook of Traditional Music and has articles forthcoming in MusiCultures and Civilisations, and a chapter in the Oxford Handbook of Phenomenological Ethnomusicology. She has presented widely in international congresses, annual society meetings, and by invitation. A community-engaged scholar tuned to social concerns, she is frequently enlisted to give public talks and judge music competitions. Between music and economics, Kaur has taught previously at the University of California, Santa Cruz; University of California, Berkeley; University of San Francisco; and Santa Clara University. She is currently serving as president of the Northern California Chapter of the Society of Ethnomusicology. Kaur’s teaching includes courses on North Indian classical music, Bollywood music, and music and religion, as well as doctoral seminars on topics in ethnomusicology. Kaur has received extensive training in vocal khyāl (North Indian classical music), and Bharat Nātyam (South Indian classical dance), and has been an amateur singer of Sikh sacred song.